When Chinese cruise passengers are not happy then cruise lines should watch out because yesterday August 31st Royal Caribbean had to force some off Quantum of the Seas. 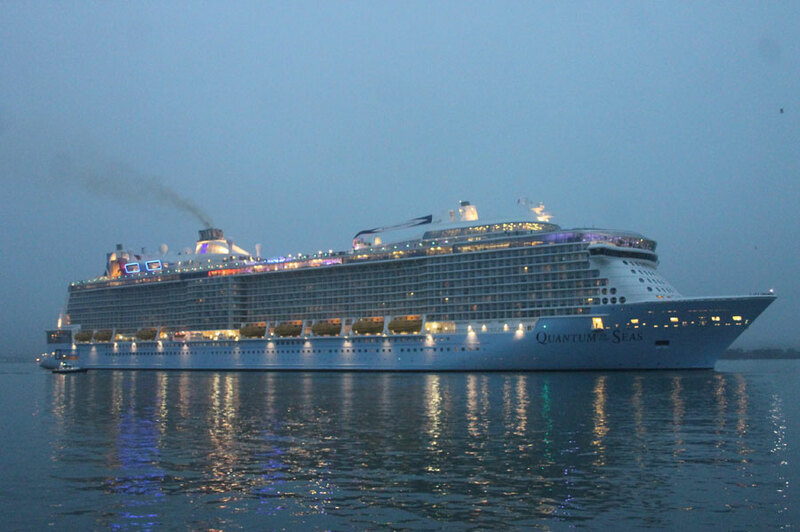 The Shanghai Daily is reporting that around 300 passengers onboard one of the cruise line’s newest ships Quantum of the Seas were not happy due to an itinerary adjustment. The Quantum class vessel was originally scheduled to call at Hiroshima, Tokyo and Kobe as part of a 9-day cruise from Shanghai on August 23rd. Due to growing concerns about Typhoon Goni the captain decided to alter the ship’s itinerary to call at South Korean ports instead of ports in Japan. Situations like this are common in the Caribbean during Hurricane season. Passengers on the Royal Caribbean ship were not happy that enough compensation was offered for the itinerary change and as a result guests and the cruise line came head to head. Let us know what you think in the comments below. Is this the correct way to act? Should the cruise line force them off?